← Egypt Is Not A Country We Live In But A Country That Lives Within Us! San Francisco, CA. – February 17, 2014 – This afternoon at New York Fashion Week Cityblis and Issuu will announce a partnership to create one of the largest online marketplaces for independent fashion brands. The reality is that most brands will never have the opportunity to show at New York Fashion Week or any other fashion week for that matter. They will never have access to huge advertising budgets and will never receive much attention in the press. Because of this we as fashion lovers will miss out on thousands of great brands that create amazing fashion. The partnership between Cityblis and Issuu aims to change the way 586,000 brands in the US and the millions of brands worldwide sell online. Brands need two things to be successful – sales and marketing. And this is what this partnership is designed to do. With Cityblis’ eCommerce infrastructure and Issuu’s digital publishing capabilities these two companies are looking to disrupt the entire fashion industry. As an online fashion retailer with over 3,000 men’s and women’s clothing, shoe and accessory brands, Cityblis curates fashion for users direct from the designer. The partnership will enable Cityblis to distribute stories, articles, catalogs, collections and a whole host of digital media to over 15 million publishers across Issuu magazines. What this all means is that boutique brands will now have the same opportunity to reach new customers. The partnership will also change the way millions of people see and consume fashion. 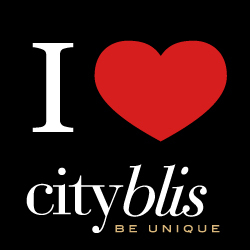 Fashion lovers will now have the opportunity to find new brands in one centralized place on Cityblis.com without having to scour boutiques and the internet. “Imagine having a front row seat to New York Fashion Week – but instead of seeing it twice a year, we are bringing you new designers, new collections and new content daily”, said Emily DeSanctis from Cityblis. 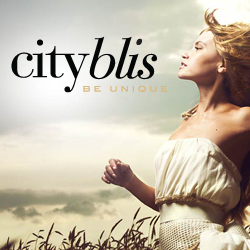 About Cityblis – Cityblis is an online fashion community enabling customers to ‘buy direct from the designer’. Empowering designers to build brands, Cityblis is bringing together fashion magazines, fashion networks, procurement houses, runway events and trade shows under one roof to make local designers visible to an international audience. About Issuu – With over 14 million publications, Issuu is the fastest growing digital publishing platform in the world. Issuu has created a digital publishing service that reimagines the print experience by connecting people to content for which they have great passion. This entry was posted in Beauty, Fashion, Product Reviews, Women and tagged change, CityBlis, eCommerce, Fashion, Issuu, New York Fashion Week, NYFW. Bookmark the permalink.